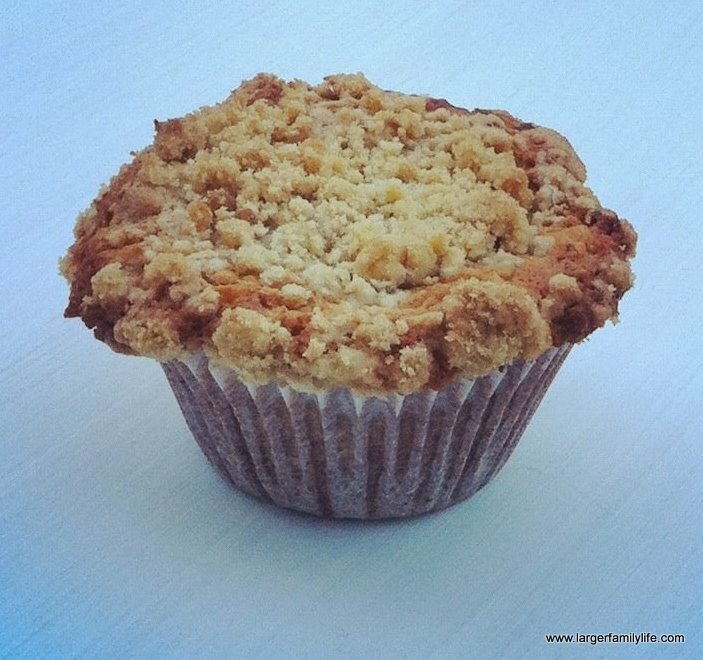 I adapted this muffin recipe to make a fun, crumbly topping on a healthy oat and apple filled cake. This means you can enjoy it as a guilt free breakfast if you are on the go, or if you simply fancy something a little different in the morning. Sift plain flour into a large bowl with baking powder. Add porridge oats, mixed spice and sugar and stir well. Grate the apples. Add them to the dry food mixture and stir in. In a separate bowl whisk together the milk, sunflower oil and eggs. Pour into the dry food mixture and mix together. Don’t worry if lumps of flour remain, this is what makes muffins work so well. Fill the muffin cases two thirds of the way with the mixture. Make the crumble topping by sifting the plain flour into a bowl. Add the cold, cubed butter and rub with fingertips to make a breadcrumb-like mixture. Add the sugar and continue to rub together with fingertips. Er… you need to be a lot more generous than that! Bake in oven for approximately 20-25 minutes. You may want to cover with foil for the last 5-10 minutes at the end of baking to ensure the centres are baked through without the crumble topping getting burnt. Erm, calorie-free. Yes, that’s right. Definitely. Honest! These look yummy. I might try making some for breakfast tomorrow. Im going to try these and see if i can get my 6 year old to eat more fruit.